While enjoying the heated swimming pool in our camp, you can see the silhouettes of islands surrounding Privlaka. Are you interested in what they're like? You would like to visit them, but it seems to you that your vacation is too short to see all that you want! Don't worry! We have a perfect 8-hour tour that will introduce you to as many as three beautiful islands. We are taking you to Ošljak, Ugljan and Pašman. In a group of up to 6 people, you will experience the island's everyday summer life and choose your place to dine, swim, stay a little longer... There's a long list of things you can see there. 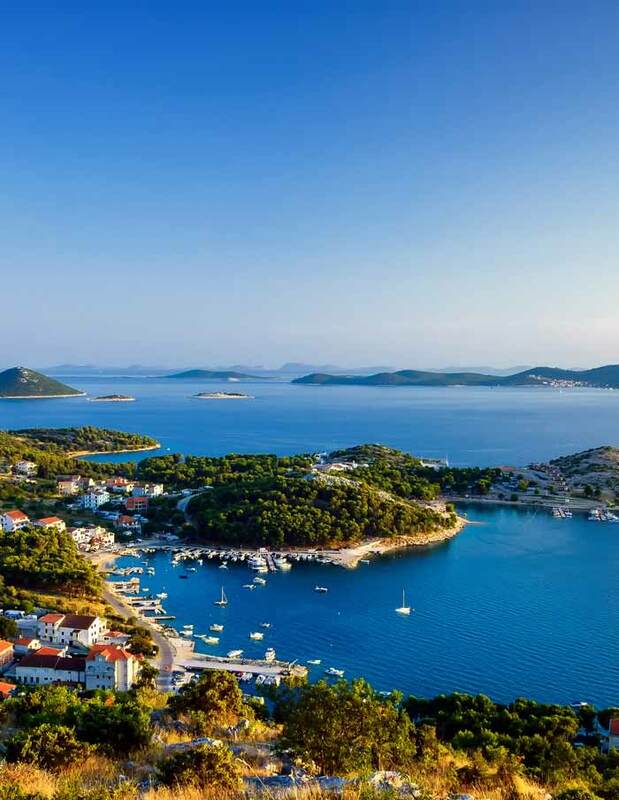 Although Ošljak is the smallest inhabited island in the Adriatic, its beauty makes it one of the greatest! The island, covered with cypresses and pines, streaked with centuries-old olive groves, offers fishing and diving as well as Mediterranean architecture and gastronomy. We will completely understand if you become one of the few inhabitants of this islet. 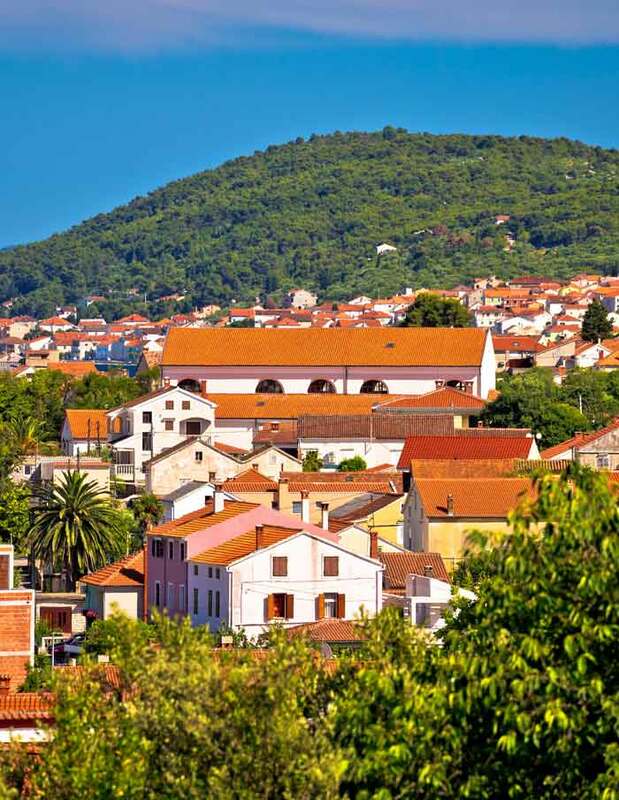 Although the island of Ugljan is only a few nautical miles from the urban center of Zadar, it has managed to preserve the traditional Mediterranean spirit and customs. For generations, the people have been into fishing, olive growing and sea faring, which makes this island a perfect picture of an indigenous Dalmatian place. The island is ideal for walking, cycling, diving, swimming, enjoying the luring smells and flavors of the Mediterranean coming from the taverns and restaurants of Ugljan. And once you are refreshed, you can burn calories in a dynamic and addictive local game of “Balote“. 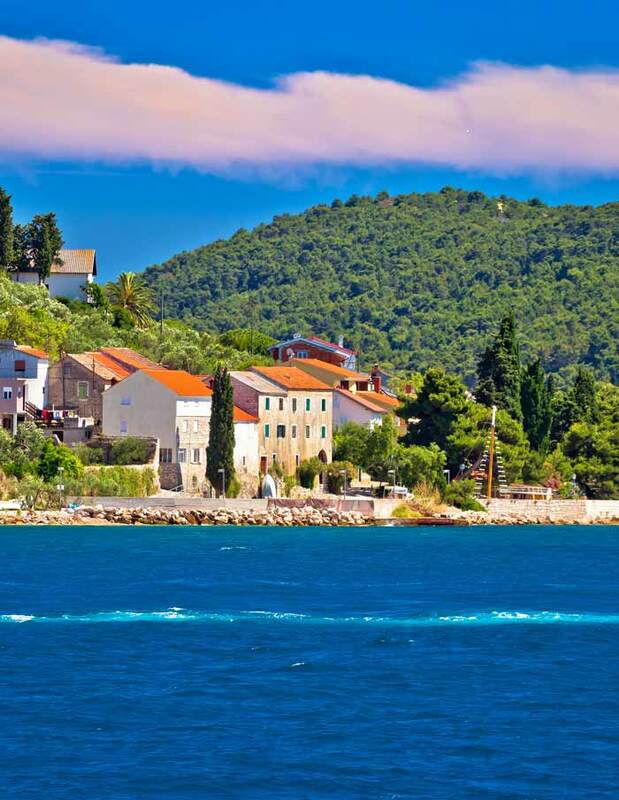 Pašman, just like the other two islands, offers a lot of content, from jogging to swimming in one of the cleanest parts of the Adriatic due to sea currents alternating every 6 hours. We have revealed to you a small part of what you will see on this trip, and there are so many thing, so we'll understand if you repeat this trip several times!